What Does Service Dog Training Entail? 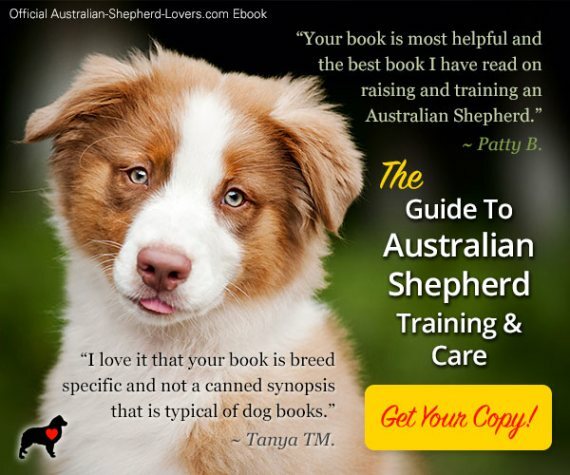 Home > Australian Shepherd Training > What Does Service Dog Training Entail? Service dog training is one of the more unique types of training. 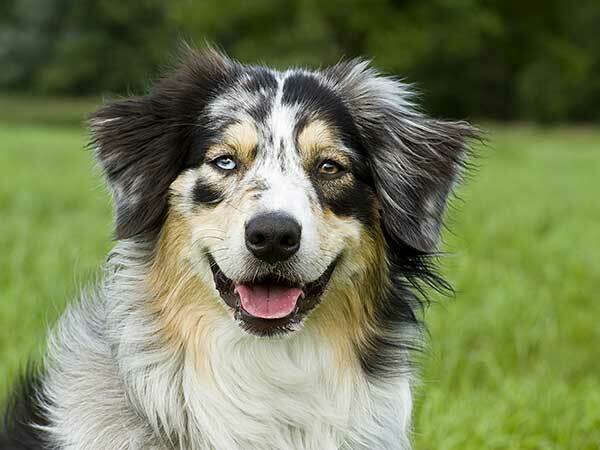 Dogs can be trained to help individuals cope with a wide range of physical or psychological disabilities. 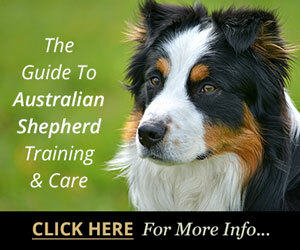 Any breed of dog including Australian Shepherds can undergo this type of training. 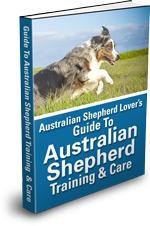 Training can begin at almost any age, from young puppies into adulthood, though it is generally not recommended to begin training with dogs more than four years old. Unlike standard obedience or agility training, service training is highly specialized and requires very specific work with an experienced trainer. 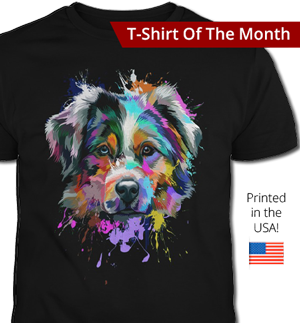 In most cases, it will be necessary for any family member who will come in contact with the dog to go through some amount of training along with the primary handler. This is so that everyone is aware of exactly what the dog can and can't do and what specific actions mean. The biggest misconception about service dog training is that it is only for the blind and visually impaired. In fact, Seeing Eye dogs make up only a small percentage of the overall population of service dogs. Today, there are service dogs trained to assist with any number of physical ailments such as diabetes and seizures to psychological disorders like PTSD. Service dogs can help with mobility, providing impaired individuals with help in maintaining balance. For individuals with developmental disabilities such as Autism, service dogs can provide an invaluable source of security by merely applying gentle pressure or by alerting others if their handler is having a bad episode or is leaving a designated safe area. Dogs can be trained to react to the smell of a potential allergen or, for diabetics, to a change in the scent of their handler that might indicate a dangerous rise in blood sugar. 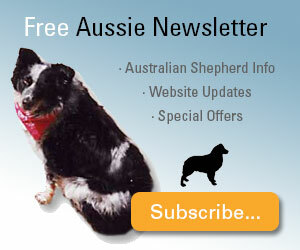 Australian Shepherds are excellent candidates for service training. For hearing impaired individuals, service dog training may entail having their dog learn to alert them to every day sounds like the doorbell, telephone or smoke alarm. Individuals whose mobility is restricted may need a dog to help retrieve objects for them or push buttons on appliances. And of course visually impaired individuals will need help avoiding obstacles such as oncoming traffic or knowing when another person is present. Where Do Dogs Get Service Dog Training? 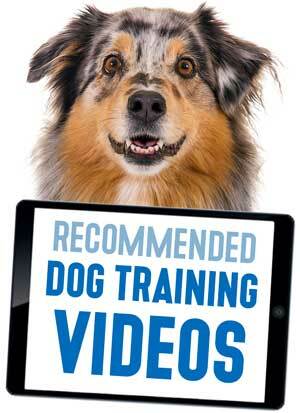 There are many facilities, both non-profit and private, that work specifically to train dogs for service purposes. The particulars of training will vary depending on the individual's needs and the practices of the organization they choose to work with. 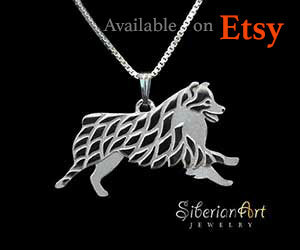 The length of training depends on the individual dogs, as some take to it more easily than others. Most service dog training will involve a combination of standard and advanced obedience training, plus targeted training both at the facility and in-home. Other more particular training may be needed if the individual will be traveling a great deal, in order to acclimate the dog to boarding trains and planes. There will also be some general training for public situations. Many insurance companies will offer some coverage for purchase and training of a service dog depending on an individual's medical needs. This can help to mitigate the cost, which can often be rather steep. Despite the cost and the time commitment, though, many people have learned to love the freedom and security that comes with having a well-trained service dog.